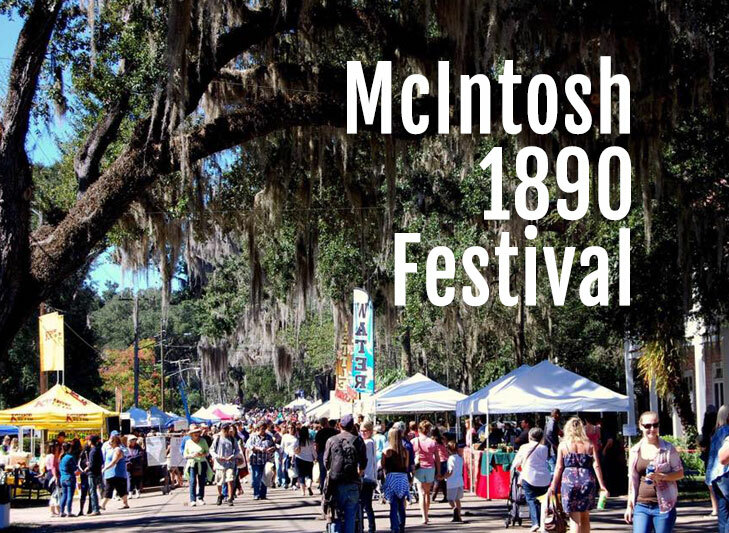 The McIntosh 1890 festival is a non-profit community festival by The Friends of McIntosh, Inc and contributes to the town’s cultural growth and historical awareness. Over 250 vendors and 35,000 visitors participate at the annual event. Money raised at festival goes towards developing and enhancing community projects. Big part of the money raised goes toward giving scholarships to the local youths to help pursue the scholastic endeavors. The first festival was held on Oct. 19, 1974 as a fund raiser and originally called the McIntosh Gay Nineties Festival. It had an attendance of approximately 4,000 people. The old McIntosh train depot needed to be moved and restored (it needed to make way for the Seaboard Coastline). This project needed money, so the Friends of McIntosh started the festival to raise money for this task – thus began the annual festival.